Nonprofits are preparing to challenge in court new legislation that threatens to damage their reputation and paralyze their work in Russia. New changes to the law on Non-Governmental Organizations (NGOs) in Russia have come into effect, requiring foreign-funded NGOs engaged in “any political activity” to declare themselves foreign agents, which is synonymous with spying in Russian. The law also toughens control over such organizations, exposing them to more frequent inspections and audits that now can be launched even at the request of an individual. Lawmakers estimate that the legislation could be applied to no more than 1,000 nonprofits out of around 220,000 NGOs operating in Russia. Despite hefty fines of up to 500,000 rubles ($15,773), sentences of up to four years and possible termination of operations for up to six months for failure to comply with the new regulations, many of Russia’s NGOs have publicly stated that they are not going to register as “foreign agents” with the Justice Ministry. 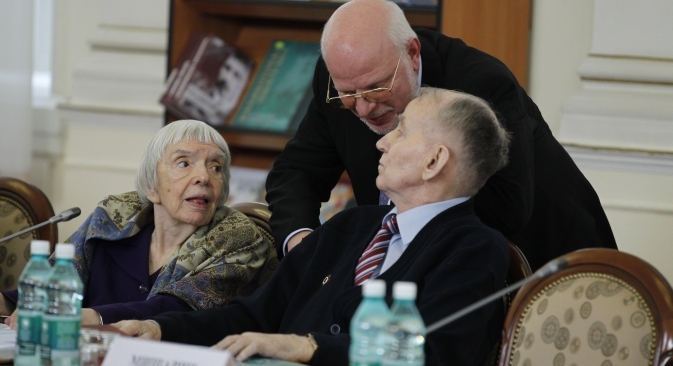 Oleg Orlov, a member of the board of the Memorial human rights center, anticipates that the law will tarnish the reputation of nonprofits in the eyes of ordinary people and government officials. “We are not going to put this label on ourselves,” he said. “Knowing Russian reality, I can say that officials and law enforcement will shy away from us if we are labeled a “foreign agent.” Orlov added that this could complicate human rights activists’ access to penal colonies, police stations and military garrisons. Mikhail Fedotov, head of the Presidential Council on Human Rights, has more than once pointed out the shortcomings of the new legislation, including to President Putin. At the Nov. 12 meeting of the council, he suggested revisiting the law. “This law will either not be applied in practice at all before it’s revamped or the first attempts to apply it will cause a big political scandal and legal problems – it’ll come in conflict with the rest of the legislation, including the Constitution and the Civil Code,” Fedotov said. “If authorities want to fine an organization or suspend its activity, they can do it. But they won’t, they’re not crazy.” Fedotov added that the Human Rights Council will draft a federal law on amending the new legislation on nonprofits. Russia’s Civic Chamber gave a harsh evaluation of the bill in September, which its authors say was not taken into account. No consultations were held with public organizations either. “I haven’t seen anything more absurd and harmful to the state,” said Yelena Lukyanova, director of the Institute for Monitoring of the Efficiency of Law Enforcement of the Civic Chamber. Lukyanova also noted that one of the biggest shortcomings of the law is that it does not give a clear and unambiguous definition of political activity and that the word “foreign agent” has a negative connotation, that of “a spy,” with most Russians. View the infographic: What does the term "foreign agent" mean to Russians? The law also demands more inspections, which may cripple the work of NGOs. Foreign funded nonprofits are to report their expenses and activities on the territory of the Russian Federation every quarter and every six months respectively, instead of submitting annual reports as was the case previously. Oleg Orlov and Yelena Panfilova (the director of the Center for Anti-Corruption Research and Initiative "Transparency International Russia”) said they are ready to defend their rights in court should any sanctions follow. “I can’t say what exactly we’ll do, all depends on the first step of those who potentially may take action against us,” said Panfilova. Analysts opine that the government’s tightening the screws on nonprofits could be viewed as a reaction to massive protests against allegedly rigged parliamentary and presidential elections that hit Russia last winter. “NGOs help restrict lawlessness in this country, for example by reporting vote fraud,” said Dmitry Oreshkin, an independent political analyst and former member of the Presidential Council on Human Rights, who walked out of it in the wake of the election campaign. Another problem for some NGOs is the generous donations they received from American governmental organizations, especially USAID, which recently shut its doors in Russia. “Many of these organizations can be regarded anti-government, in a sense, because they fight against corruption, and the source of corruption is the government. They can’t but irritate the government, especially when it’s authoritarian,” said professor Olga Kryshtanovskaya, who heads her own sociological laboratory based in Moscow. “The message that ‘collective Putin’ is trying to communicate to the public by branding NGOs ‘foreign agents’ is that through them, the West interferes in Russian politics by fostering recent protests in order to replace Putin with a weaker leader that would be easier to deal with, and this by far tallies with the public’s general perceptions of politics,” she said.